Adel Hernandez, Eleonor Maciel, Dr. Leonard Cruz, Fabiola Torralba, and Amber Ortega. Photo courtesy of the artists. San Antonio may be overlooked as it is browner than other major cities in Texas, and although people of color are the numerical majority in the city, there is little ethnic or racial diversity in the field of contemporary dance. Brown bodies are not generally thought to be intelligent, innovative, or having capacity for technology. 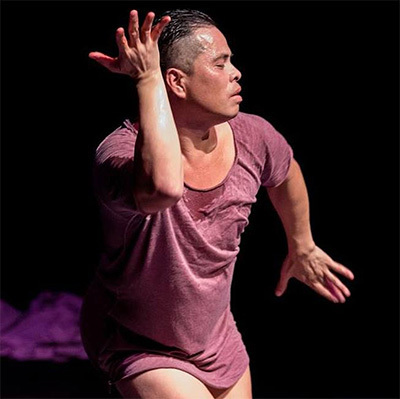 Corporeal Narratives; an intimate evening of dances, curated by Amber Ortega and sponsored by Palo Alto College’s Teatro Palo Alto, intended to make a statement: Our bodies desire and cultivate new futures, possibilities, and opportunities. This unique dance concert intentionally focused on queer voices of color in contemporary dance. The stories that were shared reflected diverse cultural experiences across communities of color in the U.S. This is important to point out because many White Americans tend to expect all people of color within a cultural group or ethnicity to be the same; this is a constant form of marginalization of brown and black artists. Within the arts, we are either unseen or only seen because of an expectation to perform a particular kind of colored-ness that is in alignment with what the outside majority consider to be inherent cultural markers. Amber Ortega; Photo by Erik Bosse. The evening-length concert, Corporeal Narratives, an intimate evening of dances, featured international guest artist, Dr. Leonard Cruz, a Filipino-American, San Antonio native and health expert at Folkwang University, Essen Germany; Adel Hernandez, a NY/San Antonio-based artist and PhD candidate at Texas Woman’s University; Fabiola Torralba, born in Guerrero, Mexico and San Antonio based activist/artist; and Amber Ortega, San Antonio artist artistic director of W-I-P/Works In Progress, and on the dance faculty at Palo Alto College and UTSA. These are the questions that emerged. 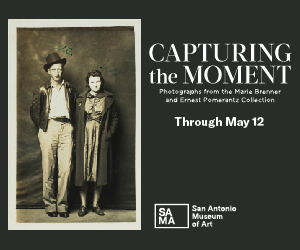 How has San Antonio informed your work for Corporeal Narratives? 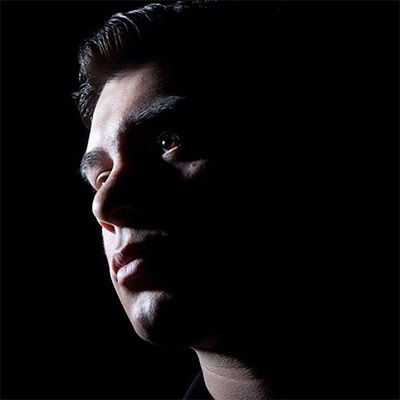 Leonard Cruz: Having been raised in San Antonio as a military brat near Lackland Air Force Base and in the Edgewood School District where my mother still lives today, I was exposed to the predominantly Mexican culture with neighborhood barbacoa/taco restaurants, bakeries, auto/tire shops, and colorful piñata/flower stores. My parents exposed me to my Filipino cultural heritage by being involved with the Filipino/Pacific Islander Communities that existed in San Antonio. This is where I first fell in love with dance. I view dance as a celebration of life. It is a ritual of coming together to experience an exchange of diverse stories through bodies..
Leonard Cruz; Photo courtesy of the artist. Adel Hernandez: I was born and raised in San Antonio. My family all resides in the south and out towards Von Ormy. On my mom’s side we are Native American from the Lipan Apache Tribe, mixed with Mexican, Spanish, and German. San Antonio has also been this nexus where musical genres and cultures of Latin American descent meet. It’s like a party. But what are we celebrating? My work in progress, Bailando Con Las Sombras, is a party of resurgence. Fabiola Torralba: I know San Antonio by its native Payaya Indian birth name, Yanaguana. The name references the once abundant spring waters that identify the small central Texas region. I was born on the coastal city of Guerrero, Mexico and water plays a significant role in my identity and creative work. As an immigrant, I ask what my relationship to other displaced people is. 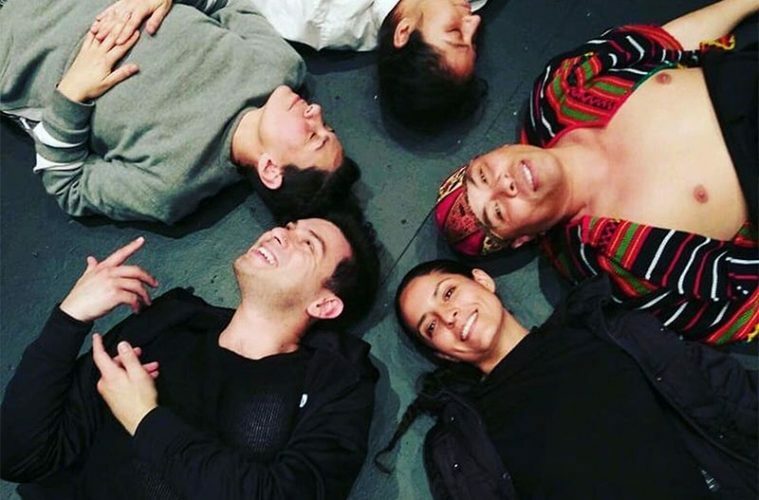 Cuerpx de Agua was created in collaboration with Mexican immigrant and performance-based artist, Eleonor Maciel. The piece is a response to forces of displacement through movement, light, and sound. Amber Ortega: I’m first generation American on my dad’s side and second generation on my mom’s. I’m Mexicana and X/Chicana; I remember my parents cringing when in my late teens I told them I identified as Chicana. San Antonio shelters and nurtures liminal spaces in quietude. This city is embedded in my work as an energy and as history, like texture and memory. My new work, LandScaping was an act of visually constructing a landscape as a way to tell the story of how my grandmother said she felt, having to live her life away from her home in Mexico. The process of making this work in collaboration with my son, violinist Topiltzin Perez, was a way for me to share her story with my son in a meaningful way. What is the relationship between story and body for you as a choreographer? AO: We are always performing safely or on the edge of our body awareness. Only my body can tell my story. Only my body can remember my experience. It is important that bodies that normally do not have access to platforms be heard, and are provided with their own spaces so they can feel safe to access their stories. LC: The relationship between story and body is inseparable and everything! A great artist is always embodied and empowered with many stories that are shared. Adel Hernandez; Photo courtesy of the artist. FT: The body is a vessel of knowledge that is derived from many sources. As a working class person, it is important that we see our bodies beyond how we have been defined by colonial powers, as cheap and readily available labor to be exploited for the profit of masters. The body is a powerful medium for building connection. It can express, enact, and materialize meaning through our own agency and from the knowledge that comes from our own experiences. What does queerness have to do with your work? FT: Water like migration, gender, and sexual expression, is queer because it exists beyond confines. In pushing past inscribed boundaries, we create new pathways that force shifts to occur. LC: Many of the roles within the cultural and indigenous dance forms which I danced as a child were gender fluid in that they transformed to different gods/goddesses, animals, deities, and spirits. As an openly gay artist I struggled a lot with my body being very Pacific Islander (meaning broad and muscular). When I first started to take ballet classes in my teen years, teachers always commented about how too short or stocky I was to pursue a career in dance even though they commended the grace and talent that I brought to the studio. So, the struggles influence my artistic work in that I am inclusive and very open to what others can authentically bring to my work as a choreographer and or performer. AO: I have always been determined to ignore the social constructs of gender in my work, placing humanness over gender is a primary intention for me. Queer is a term that doesn’t ever hold still long enough for any social structure to put up its scaffolding. I personally identify as queer because I have a future hope which I am determined to live now; a hope that one day humans will all have equal value and equal space. Fabiola Torralba; Photo by Yasmín Parra Codina. How do you label yourself and your artistic practice? FT: As a movement based artist. I see dance as a kind of dialogue that can facilitate awareness, critical engagement, and empathy. LC: I consider myself a “Contemplative Artivist” or someone that believes in transformation and healing through creativity and the arts by empowering oneself and others. Allowing all voices to be heard and seen through dance is what needs to be elevated because without dance and the arts there would be no joy in life. AH: I have been a queer artist. I have been a ChicanX Artist. I have been a performance artist. This is a complex question for me since I have practiced and experienced movement in various ways and I’m still searching for where my unique dance practice can reside. The work I have been making has been generating out of my research interests in queer futurism and Cumbia dance studies. AO: I simply classify myself as a movement artist and choreographer. I want to express the importance of access to public platforms for those who are underrepresented. It’s important that the expectation or burden of translation be lifted for artists of color. There needs to be spaces where difference can exist as is, simply accepted and not questioned. Corporeal Narratives, an evening of intimate dances accomplished this for us as San Antonio grown, contemporary dance artists. We hope to continue having this event in the future and to add new voices from queer choreographers of color in South Texas. Amber Ortega holds an M.F.A. in choreography from Jacksonville University/White Oak, a B.F.A. in performance and choreography from Ohio State University, and is dance faculty at Palo Alto College and University of Texas in San Antonio.